I have been describing Huawei datacom devices on my blog since July 2011. 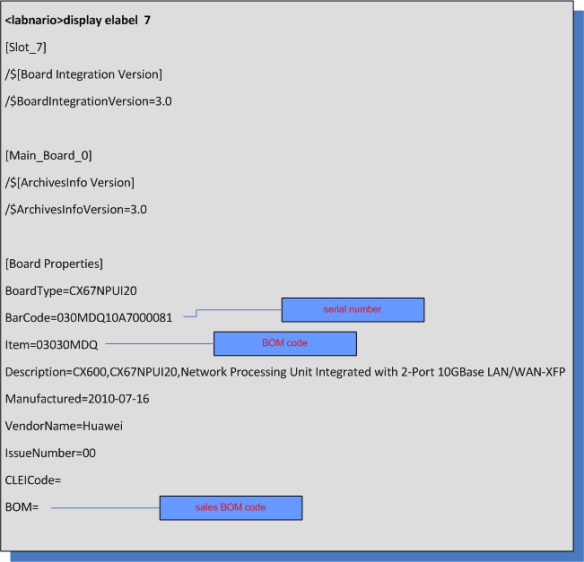 I started with some basic information about Huawei CLI, access methods and upgrade procedures. Then I showed you more advanced topics like PBR, DHCP etc. I am pleasantly surprised that this blog is visited by people from all continents, even from countries I have never heard about. As this blog is getting more and more popular I will do my best to publish more interesting posts. 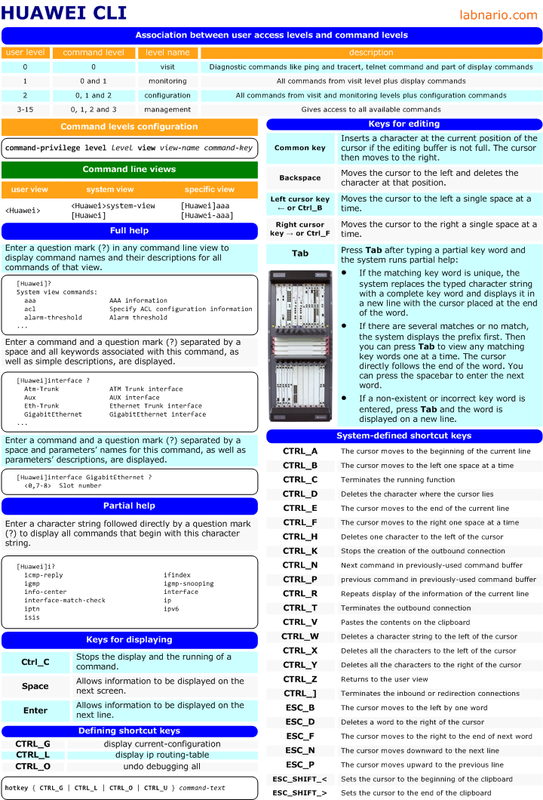 As we went through a some stage, I have decided to prepare a cheat sheet describing Huawei CLI. You can download it as PDF, print and keep it :). I hope it will be useful for you. What to do if you forgot console password to Huawei S5300 switch? I received such question last week. One of readers of this blog forgot console password and he wanted to modify startup configuration file from bootrom menu. His operation failed and there was a notification from the system that there is an “invalid package file!” and “auto-booting failed!”. There was s5300ei-v100r002c02spc100 software installed in this switch so we can focus just on this software. What to do to quickly establish an alternative path in case of communication failure between adjacent systems? Hello mechanism used by routing protocols. The main disadvantage of hardware detection is that not all media support it. For example Ethernet does not provide this kind of signalling. When there is no hardware signalling we can use Hello in routing protocols but this mechanism is relatively slow. Sensitive services, for example voice, cannot work with more than one second delay. The best solution is to use BFD (Bidirectional Forwarding Detection). This is simple mechanism that works independently of media, data and routing protocols. The main goal of BFD is to detect failures in the path between adjacent devices in a short time (minimum detection time for NE40E is 30ms). It does not matter if it is physical link, virtual circuit, tunnel, MPLS LSP, multi-hop path or unidirectional link. We can treat BFD as a simple Hello protocol where a pair of devices periodically sends BFD packets between them. If one device does not receive BFD packets within specified period, the system assumes that the bidirectional path to the neighboring system has failed.